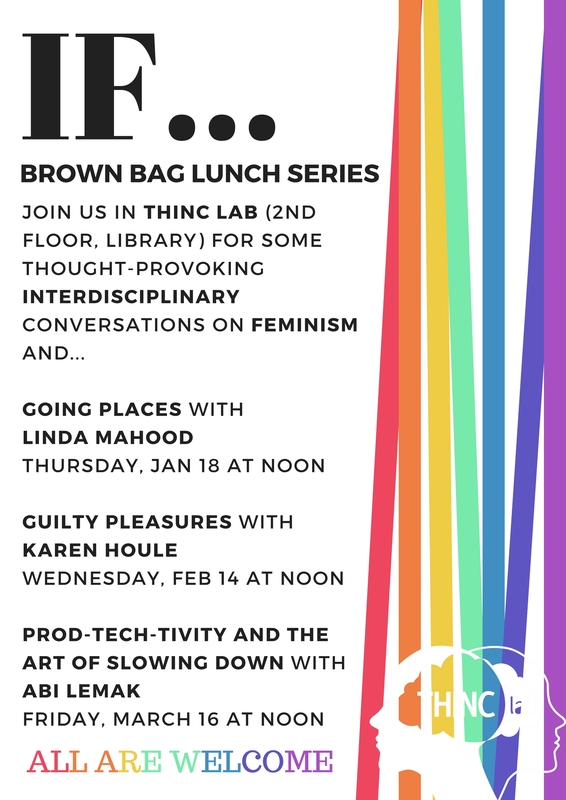 IF is an interdisciplinary, intersectional and (mostly) internal speaker series to get conversations about gender and sexuality studies going across campus. Please contact Susan Brown if you are interested in being involved. In this paper Freedman explores the epistemic value of #MeToo testimonials for the teller, when believed; for the marginalized hearer, when experiences like hers are represented by others; and for society at large, when dominant narratives are disrupted. This talk explores the recent trend of female artists who have appropriated and re-imagined the “booty video”. Employing strategies of parody and hyperbole, artists such as Beyoncé, Lily Allen, and Nicki Minaj have reclaimed the discourse surrounding the female body from within the hyper-masculine norms of hip-hop culture. 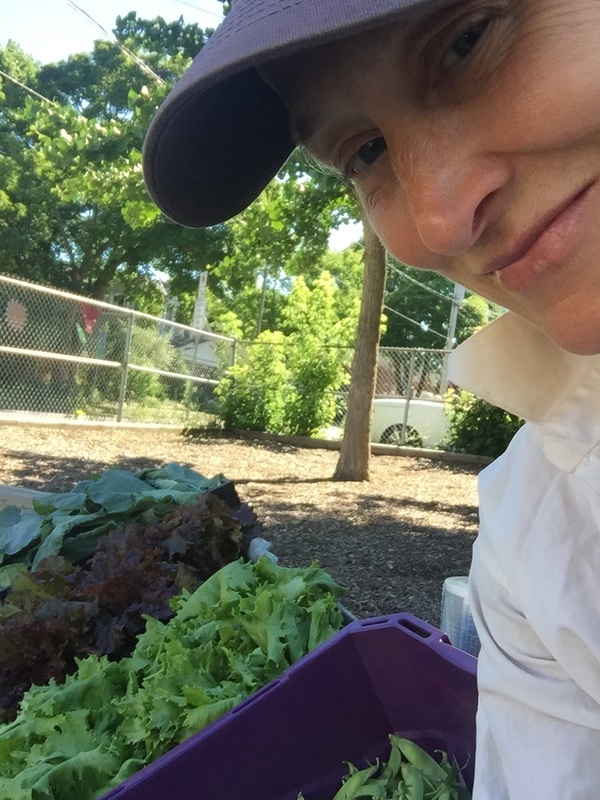 Location: The Organic Farm on Campus. We will meet at the McLaughlin Library entrance at 11:40am to walk over as a group, or you can meet us at the farm at 12:00pm (noon). 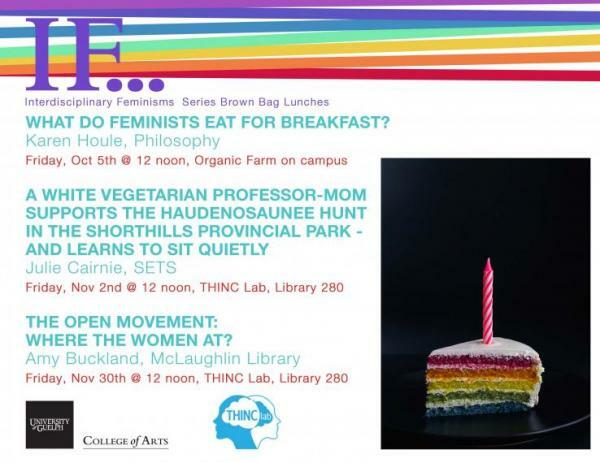 Join us at the Organic Farm on Campus for a tour and great conversation with Karen Houle (University of Guelph) about what it means to be a feminist who digs. 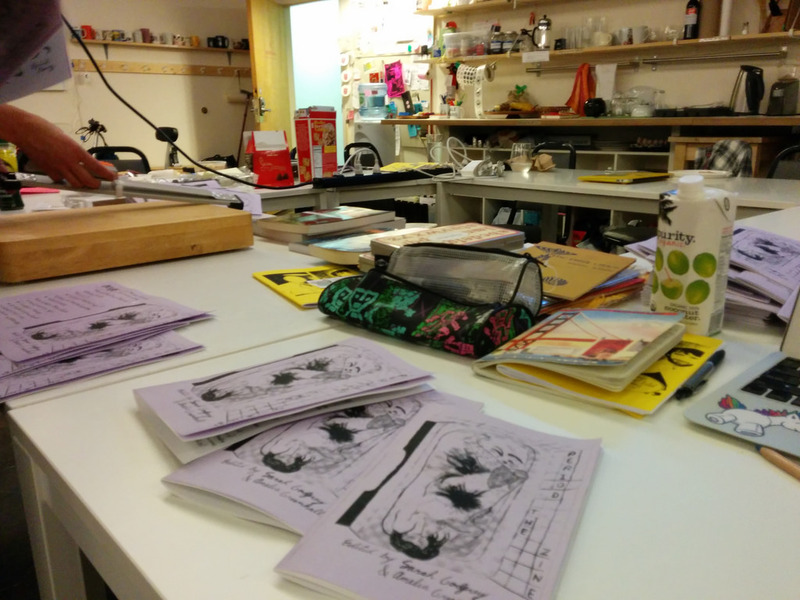 A look at the history and context of zines and the power and privilege both embedded in, and exercised through, zine production. Title: What do Feminists Eat for Breakfast? Title: The Open Movement: Where the women at? 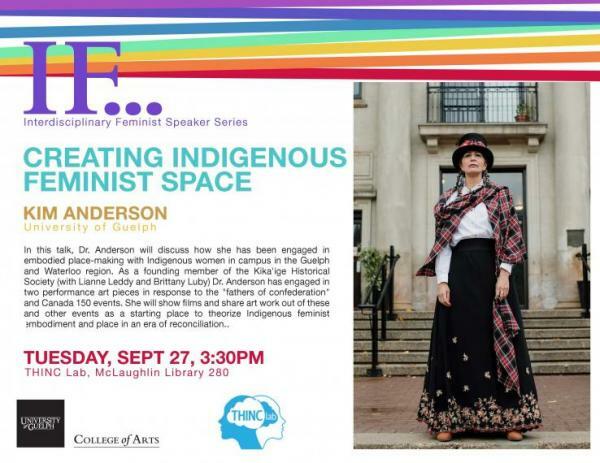 In this talk, Dr. Anderson will discuss how she has been engaged in embodied place-making with Indigenous women in campus in the Guelph and Waterloo region. Indigenous feminist embodiment and place in an era of reconciliation. 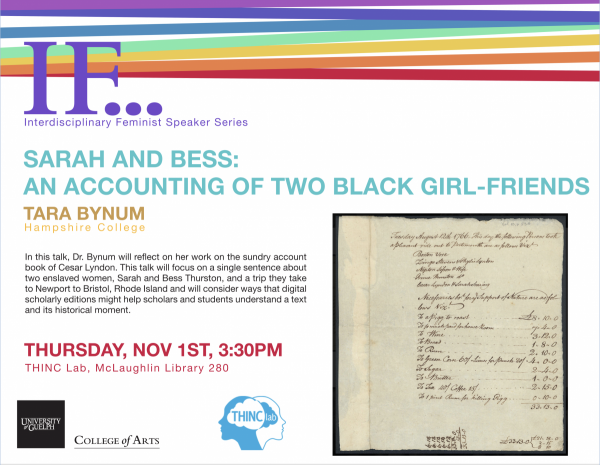 On November 1st, Tara Bynum will join us for her talk Sarah and Bess: An Accounting of Two Black Girl-Friends. editions might help scholars and students understand a text and its historical moment. The viral Twitter hashtag campaigns #DistractinglySexy, #StayMadAbby, and #BeckyWithTheBadGrades respond to structural oppression in higher education and public culture by producing micro counter narratives to stereotyped characterizations of women in science, and race-based affirmative action in admissions, respectively. 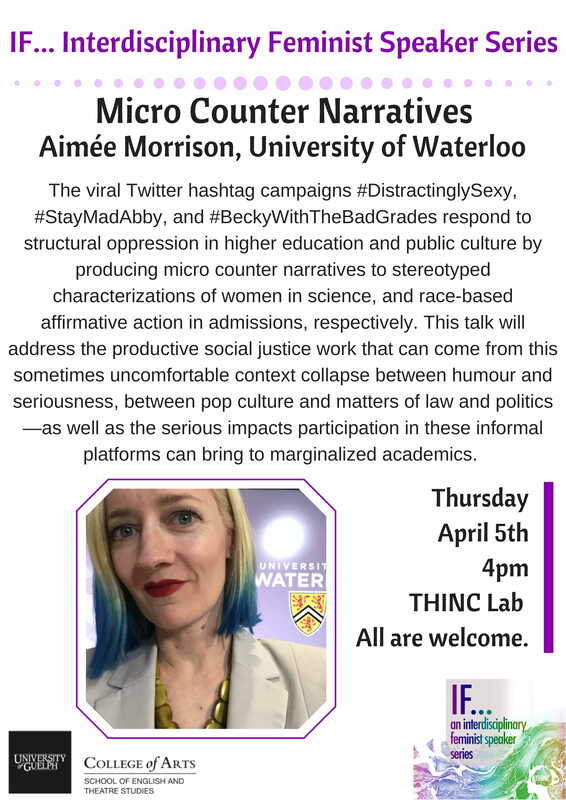 This talk will address the productive social justice work that can come from this sometimes uncomfortable context collapse between humour and seriousness, between pop culture and matters of law and politics—as well as the serious impacts participation in these informal platforms can bring to marginalized academics. The Gender Wage Gap exists in Canada: for every dollar a male worker makes, a female worker earns 72 cents. Using a variety of computational science tools we clean, standardize & analyze the Ontario Ministry of Finance, Public Sector Salary Disclosure (Sunsine List) data from 1997 to 2014. 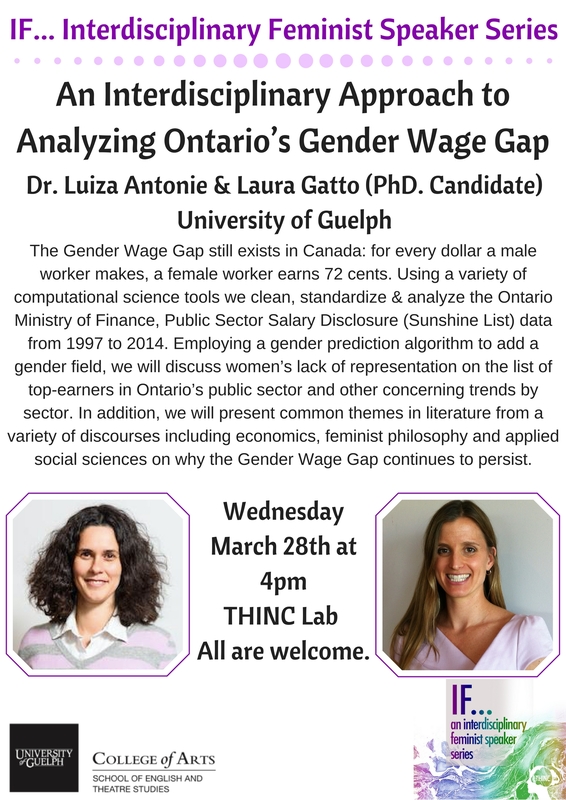 Employing a gender prediction algorithm to add a gender field, we will discuss women's lack of representation on the list of top-earners in Ontario's public sector and other concerning trends by sector. In addition, we will present common themes in literature from a variety of discourses including economics, feminist philosophy and applied social sciences on why the Gender Wage Gap continues to persist. 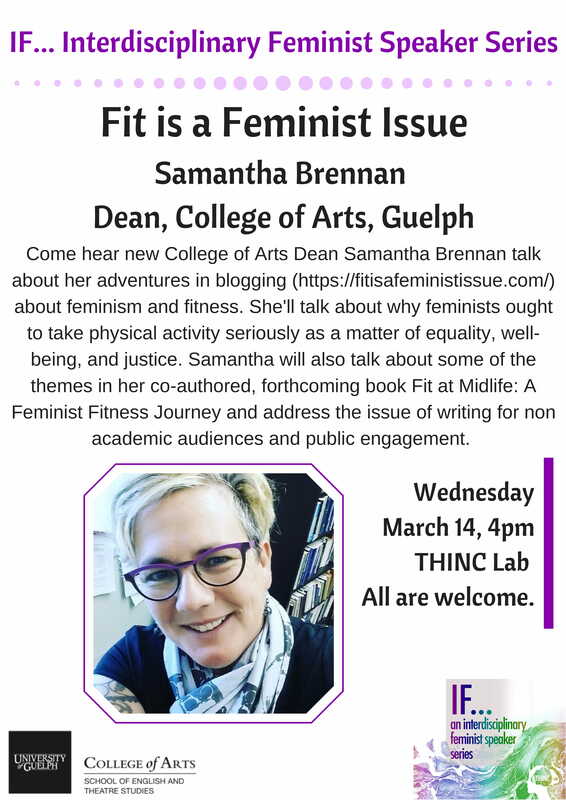 Come hear new College of Arts Dean Samantha Brennan talk about her adventures in blogging (https://fitsisafeministissue.com/) about feminism and fitness. She'll talk about why feminists ought to take physical activity seriously as a matter of equality, well-being, and justice. 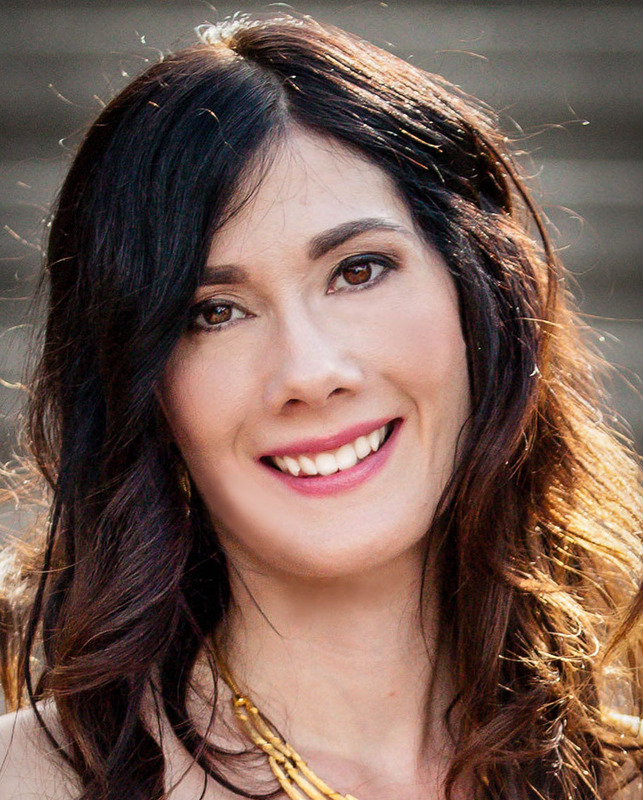 Samantha will also talk about some of the themes in her co-authored, forthcoming book Fit at Midlife: A Feminist Fitness Journey and address the issue of writing for non academic audiences and public engagement. The maker movement has grown over the last two decades and is now a part of university life in both makerspaces and digital humanities (DH) centers. 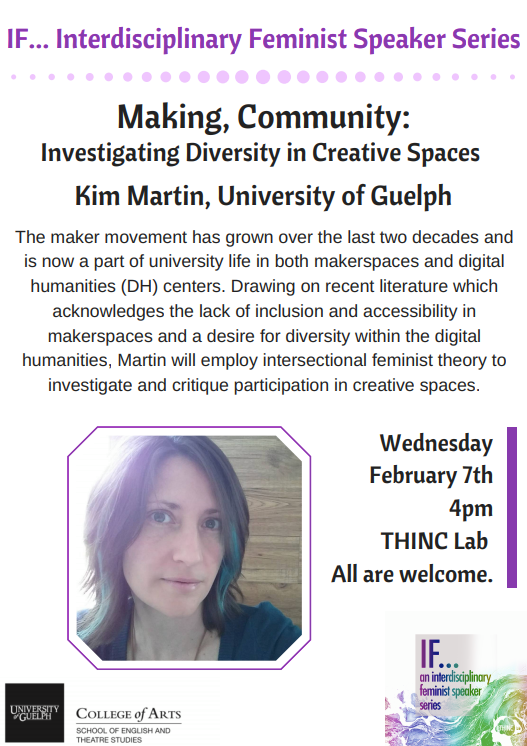 Drawing on recent literature which acknowledges the lack of inclusion and accessibility in makerspaces and a desire for diversity within the digital humanities, Martin will employ intersectional feminist theory to investigate and critique participation in creative spaces. Intersectionality offers us is a way of thinking about social reality, power, oppression and meaning-making that is nuanced, rigorous, and compelling. 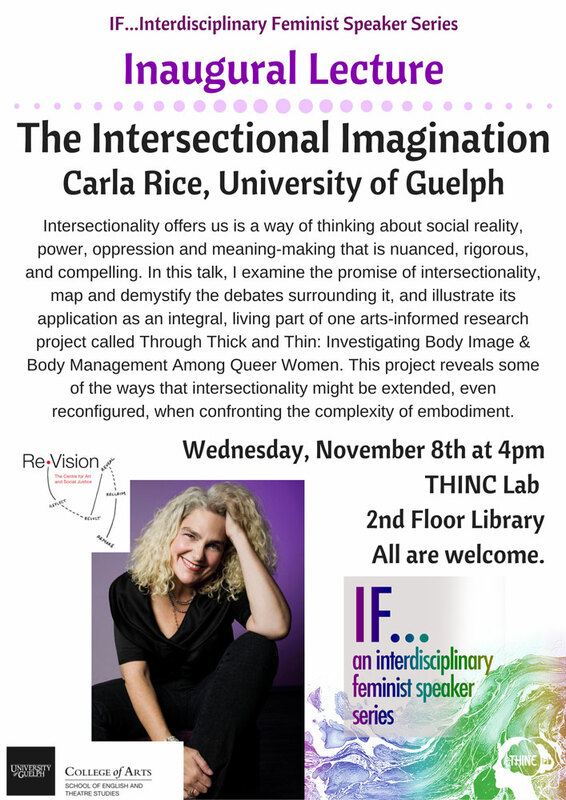 In this talk, I examine the promise of intersectionality, map and demystify the debates surrounding it, and illustrate its application as an integral, living part of one arts-informed research project called Through Thick and Thin: Investigating Body Image & Body Management Among Queer Women. This project reveals some of the ways that intersectionality might be extended, even reconfigured, when confronting the complexity of embodiement.